Chicken wings have become a mainstay of game day. These little morsels of heaven deserve to be treated right and that's not difficult if you have the right recipe. No matter how you plan to finish or cook your wings, starting them off with a great brine will only make them better. This brine recipe plays off the natural flavors of the chicken wings. 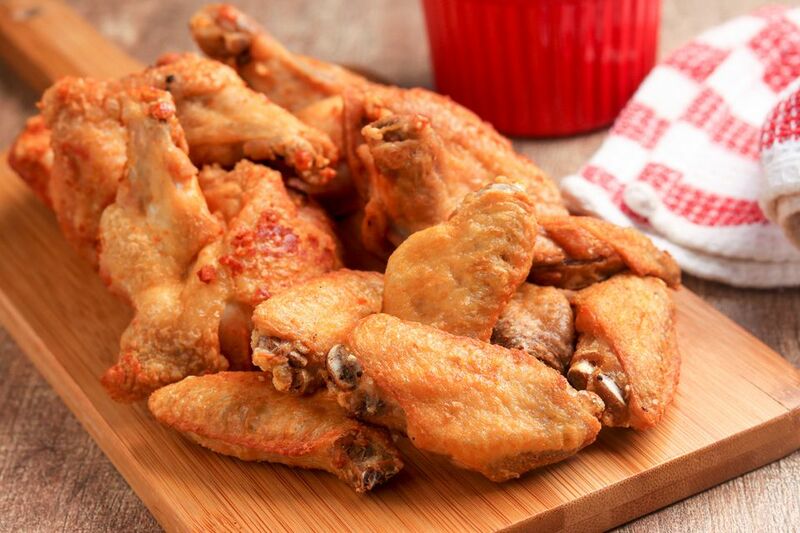 It adds flavor, a hint of heat, and extra moisture that will prevent your wings from drying out. Once the wings are prepared, they can be grilled, smoked, baked, or fried. The recipe will create enough brine for about 3 pounds of chicken wings (about 16 wings). You can easily increase it to cover more wings. Note: while there are multiple steps to this recipe, this wing dish is broken down into workable categories to help you better plan for preparation. Combine vinegar and pepper flakes. Thoroughly dissolve the salt and sugar in water. Add the vinegar mixture and black pepper. Stir to mix and cover. Place chicken wings in a large non-metal container. Pour the brine mixture over the wings, making sure they are completely covered. Cover and place in the refrigerator. Allow the wings to brine for 2 to 4 hours. Remove wings and rinse well. Discard any remaining brine. Apply a seasoning or rub if you like and cook as desired. While the brine is easy to prepare, it is best when it's mixed up the night before. This allows the flavors to marry fully and ensures it's ready for your wings. Now that you have brined wings, it's time to decide how you want to serve them. They can be cooked as is and served with a variety of dipping sauces, or you can add a little more flavor. There are many great chicken wing recipes that you can use for inspiration. For example, a dry rub of pepper, onion, chili, and garlic can really give them a nice kick. You can also grill your brined wings and serve them with a zesty lemon sauce. When it comes to sauces, the possibilities are endless. Maybe you want to try a homemade barbecue sauce before broiling your wings. Then again, a tasty teriyaki sauce and some time in the slow cooker is a good option as well.